Pops with or without oil for popcorn the way you like it. The exclusive PowerCup® concentrator can be used for multiple batches. Works in most any microwave. Even compact models with cavity sizes as small as 6 1/2-inches tall by 10-inches wide. Pops any kind of corn. Yellow, white, or hybrid. No muss, no fuss seasoning. Add salt or other seasonings before you pop for even distribution. Easy to clean. 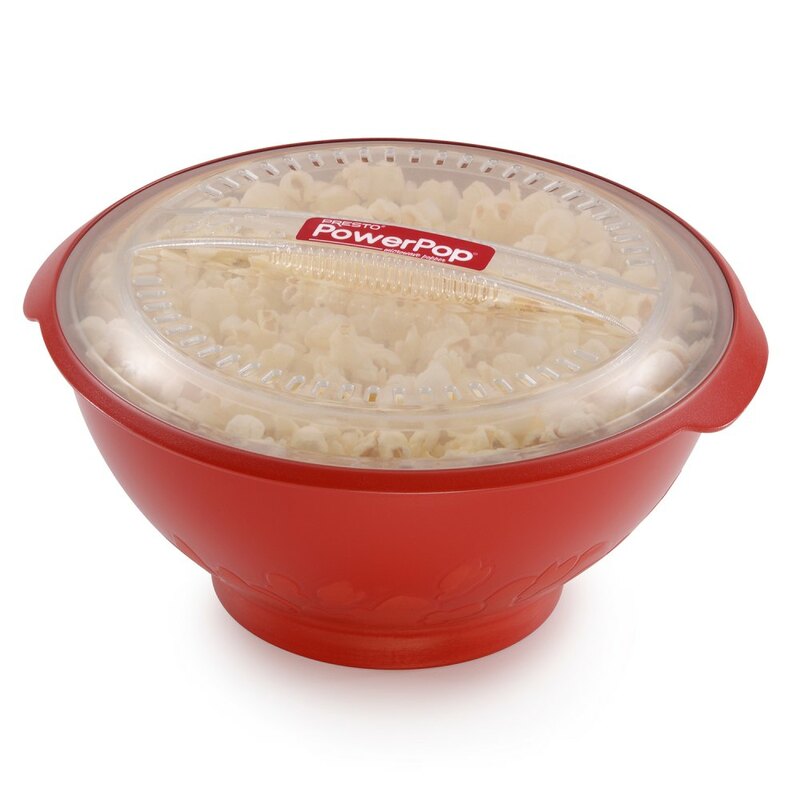 Popping bowl and cover are fully immersible and dishwasher safe. *Results may vary by microwave oven model and type of popcorn. Works in most any microwave. Popping bowl and cover are fully immersible.